I was fortunate enough to talk to Al Jazeera today and I tried to give critical overview of current developments in Eritrea. Since it was short notice and I didn’t have enough time and preparation to fit all my notes during live interview, I have decided to post the video and a couple of thought-provoking points worth mentioning in order to continue the conversation. For background, the military is a major force in Eritrea. The country has a standing army of 200,000 to 300,000 which makes it one of the largest in the world compared to its population. National service in Eritrea is compulsory and young men and women are often forced to serve in the military indefinitely or participate in some other type of national service for years on end. Due to dissatisfaction over endless national service, there are thousands of young people fleeing the country’s borders to neighboring Sudan, Djibouti, Ethiopia, even boarding boats to flee to Yemen or other countries. According to today’s reports a group of soldiers, possibly numbering as many as 100 (some reported 200) stormed the Ministry of Information and took control of EriTV, the state news agency. According to the same reports, these soldiers demanded that the news director read a statement that called for release of political prisoners and the implementation of the 1997 Constitution. There are additional reports that the president’s daughter who works at the Ministry was being held hostage. The most recent reports are that the Ministry is back under government control now. People have jumped to the conclusion of calling it a coup, but based on information from the people I spoke to in Asmara, the city was calm, there were no shots fired and there was not a higher than normal military or police presence in the streets. Dissident soldiers reportedly seize ministry and force state media to call for the release of political prisoners. A group of dissident Eritrean soldiers have laid siege to the information ministry and forced state media to announce a call for the release of political prisoners, according to a senior Eritrean intelligence official. The renegade soldiers forced the director of state television to make an announcement, the intelligence official said. “The soldiers have forced him to speak on state TV, to say the Eritrean government should release all political prisoners,” the source said on condition of anonymity. Reports from Eritrea are difficult to independently verify, as the country restricts access to foreign media. 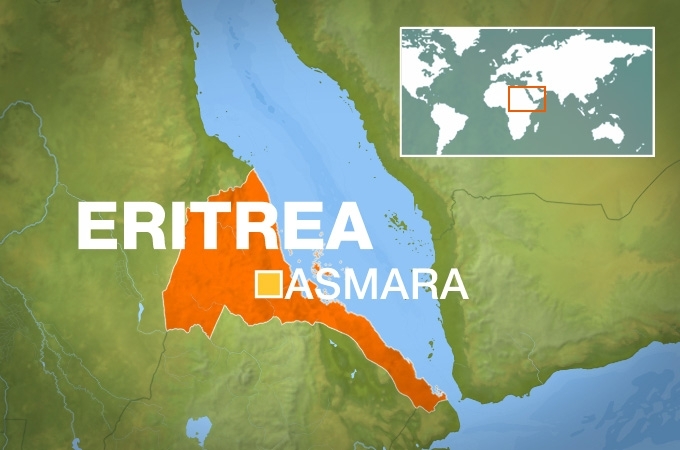 Dozens of soldiers with two tanks surrounded the ministry building in Asmara, regional diplomatic sources said. They said state television and radio had gone off air. A statement from the US embassy in Asmara said it “is aware of press reports that tanks have reportedly surrounded some ministry buildings but cannot confirm all the reports. The situation remains fluid”. There was no immediate indication it was an attempt to overthrow the government of Eritrea, which has been led by Isaias Afewerki, 66, for about two decades since it broke away from bigger neighbour Ethiopia. Micheala Wrong, a British journalist who has covered Africa extensively, told Al Jazeera: “We know there is restlessness among the troops, so if there is going to be any challenge to Afewerki, it will come from the army. “What happens in Eritrea is crucial to what happens in the Horn of Africa, and I think the West should be watching this very closely,” she said. Salem Solomon, an Eritrean-American journalist based in Florida, told Al Jazeera the military in Eritrea is a “major force”, with the standing army consisting of “between 200,000 and 300,000 soldiers”. “At the moment, the buzz word people are using is ‘coup’, but it doesn’t have the symptoms of what a coup looks like,” she said. The UN last year estimated that 5,000-10,000 political prisoners were being held in the country, which is accused by human rights groups of carrying out torture and summary executions. The Red Sea state, which declared independence from Ethiopia after a long war, is one of the most opaque countries on the continent. Eritrean opposition activists exiled in neighbouring Ethiopia said there was growing dissent within the Eritrean military, especially over economic hardships. “Economic issues have worsened and have worsened relations between the government and soldiers in the past few weeks and months,” one activist said. The UN Security Council imposed an embargo on Eritrea in 2009 over concerns its government was funding and arming al-Shabab rebels in neighbouring Somalia – charges Eritrea denied.